We have updated the old “Create & Edit Group” screen with something designed to help you understand how your database is performing over time. We have also included information on your groups; including average open rates and CTR for each individual Group & Segment! You may also notice that the “Address Book List” has also been removed from the navigation as the new Contact Groups & Segments is a better place for this to be located. To view this new area, you will need to navigate to the Address Book menu and click on the renamed “Contact Groups & Segments” area. 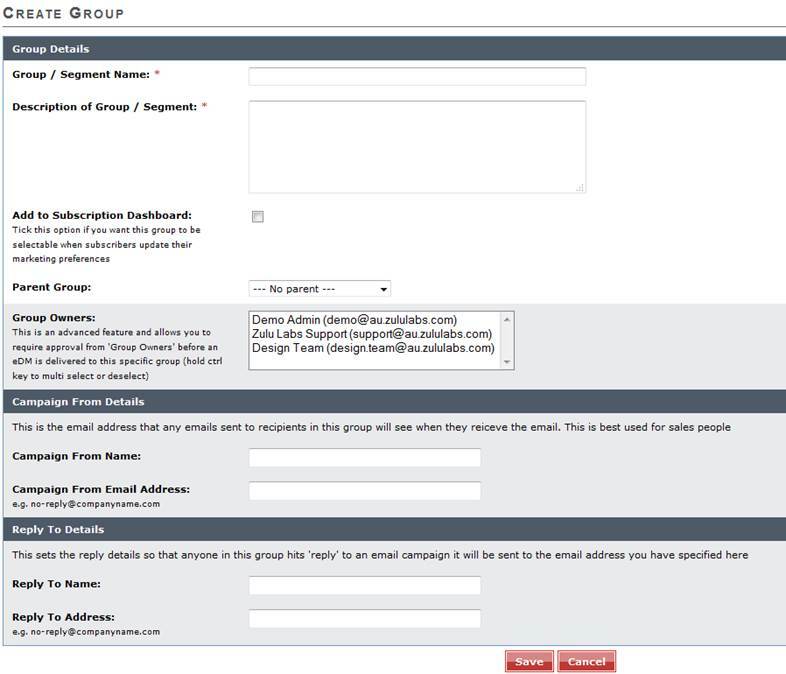 On the new Contact Group & Segments screen you will first automatically be directed to the Default Group. As you will see below there is now a Group Analytics overview (for each group being viewed) that has been designed to help show you how well your database is performing. 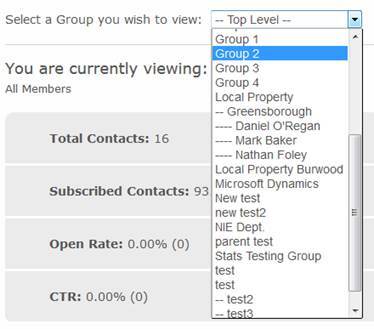 Underneath the Group Analytics overview the segments (or sub-groups) of your database will display. If you wish to see a detailed overview of any of your segments, you can click on the name of the segment and you will be taken to the details of that group. You will also notice in the screen below that we have detailed the average open rate, CTR and Growth for each of your database segments (sub-groups) so you can easily, from the one screen, view how each of your Group & Segments (sub-groups) are performing. Actions that used to be located only when viewing a particular group, are now available on the left hand side ‘Actions’ menu. The contacts tab (if you are viewing the default group) will display all contacts that are in your database (like the Address Book List used to). 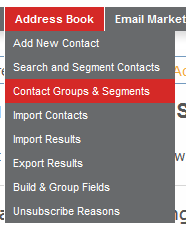 When you are viewing segments (sub-groups) the contacts tab will display the contacts that are part of that segment. You will also notice that we have added mobile phone to the default display as well as (and we think this is super handy!) a last campaign received column which will tell you when this contact was last communicated to (see below there are a couple of examples with “Today”, Over a month ago. This was designed to enable to you see how often you are communicating to each of your contacts easily. The new actions dropdown also allows you to quickly view, edit, delete or unsubscribe selected contacts. To move from Group to Group use the dropdown menu to navigate to the group you wish to view. You may also notice that the Create Group screen has also slightly changed as well. We have also added explanations of each item to help you to understand what each function is used for.